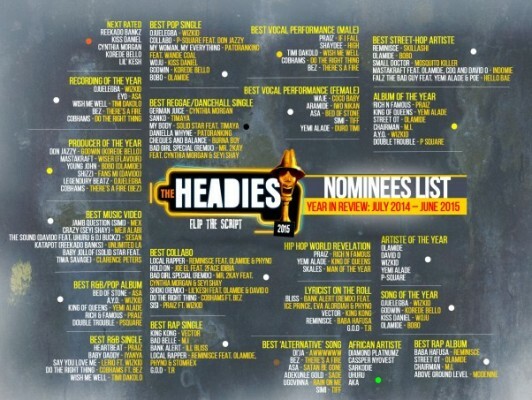 A NON-VOTING CATEGORY FOR THE RAP ARTISTE WITH THE BEST LYRICAL DEPTH AND PERFORMANCE ON A SINGLE OR ALBUM. A VOTING CATEGORY FOR THE ARTISTE WHOSE SONGS ARE INSPIRED BY THE STREETS. SUCH SONG SHOULD CAPTURE LINGUAL, WHICH MAY ALSO BE ORIGINATED BY THE ARTISTE AND POPULAR ON THE STREET.